Public speaking and interview skills, self-confidence, business etiquette, community involvement, social values, and stage presence are just a few of the sustaining benefits of pageantry participation. These skills can translate into advocacy and cultural pride. Take it from Alyssa London: On Feb. 4, she was crowned Miss Alaska USA, a title that offers her a national platform to advocate on behalf of Alaska Native people. London is the first Tlingit to hold this title and identifies herself as a cultural ambassador who hopes to use her new found celebrity to highlight Native culture and heritage. Her win is already drawing attention to the cause, illuminating the fact that Alaska Native and American Indian women have a robust history in pageantry, especially in Alaska. Since its start in 1952, there have been a h andful of Alaska Native women to hold the title of Miss Alaska USA; in 1997, Rea Bavilla (director of Miss Alaska USA, 2000–2017) of Unalaska took the crown at 23 years of age. In 2008, 25-year old Courtney Carroll of Fairbanks bore the title, after also having been crowned Miss WEIO (World Eskimo-Indian Olympics) in 2001. She was in good company; in 2010, famously-fast fish filleter (did you see her at the Annual Gathering? ), Marjorie Tahbone, Inupiaq/Kiowa, also held the crown of Miss WEIO—and Miss Indian World, later that same year. Some of the other Native women who have represented Alaska as pageant title-holders are Peggy Willman (Miss Alaska America 2002), Denali Whiting (Miss Alaska Teen USA 2011), Jessica Fulton (Miss Alaska United States 2013), and Rosemary Berg (Miss Alaska United States 2016). 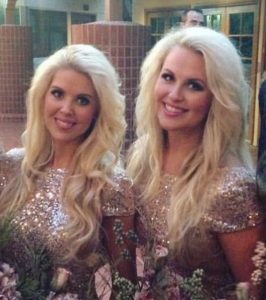 Previous title holders and sisters Sonja Blewett and Rachel Saldana (Samish) are the new directors of the Miss Alaska and Miss Alaska Teen USA pageants. Alaska Native and American indian influence in pageantry does not stop with the contestants; Southcentral Foundation employee and Samish Tribal member(s) Rachel Saldana (Miss Alaska Teen USA 2002, Mrs. Alaska United States 2013) and her sister and business partner, Sonja Blewett (Miss Alaska Teen USA 2005), have recently taken ownership of the 2018 Miss Alaska and Miss Alaska Teen USA franchise, as co-directors. They realize there are not many platforms that recognize women for their personal achievements, and are excited to be a part of an organization that gives contestants a chance to share their culture, story, and passion.